I received this Bud Delight from Diamond Grove for being a first time patient there. 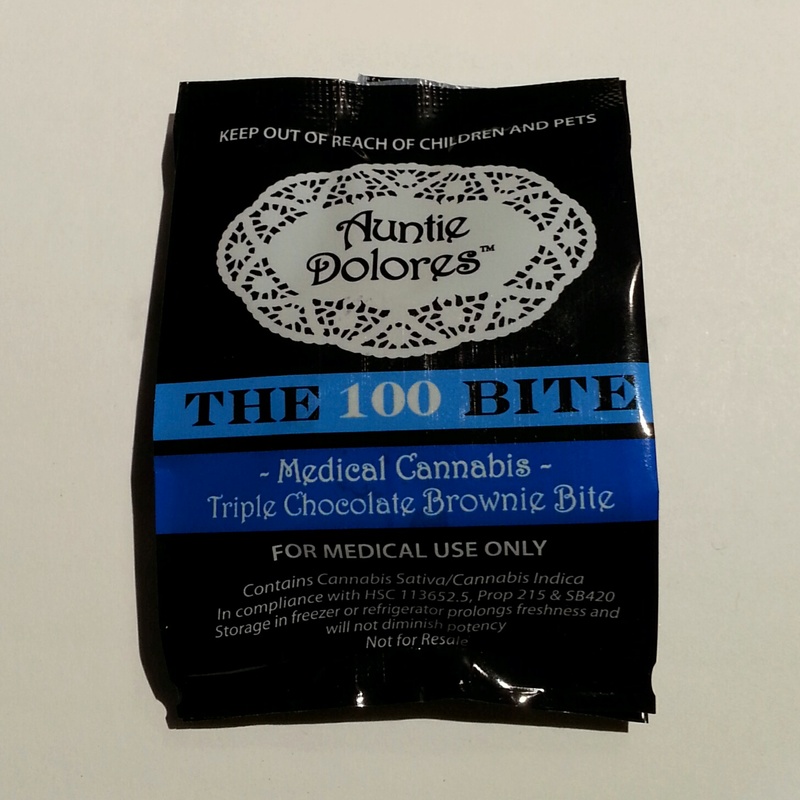 It was a tiny little bite sized goody, and although I got it as a sample, they have them listed for $2 on Weedmaps. There was no mg count listed on the package, but judging by the size and price, it can’t be more than 25 mg of THC. First of all, this is one of the tastiest snacks I’ve had in some time. I wasn’t sure what to expect when I bit into it. And its vague packaging didn’t help. On first examination, it is a bit bigger than a golf ball. 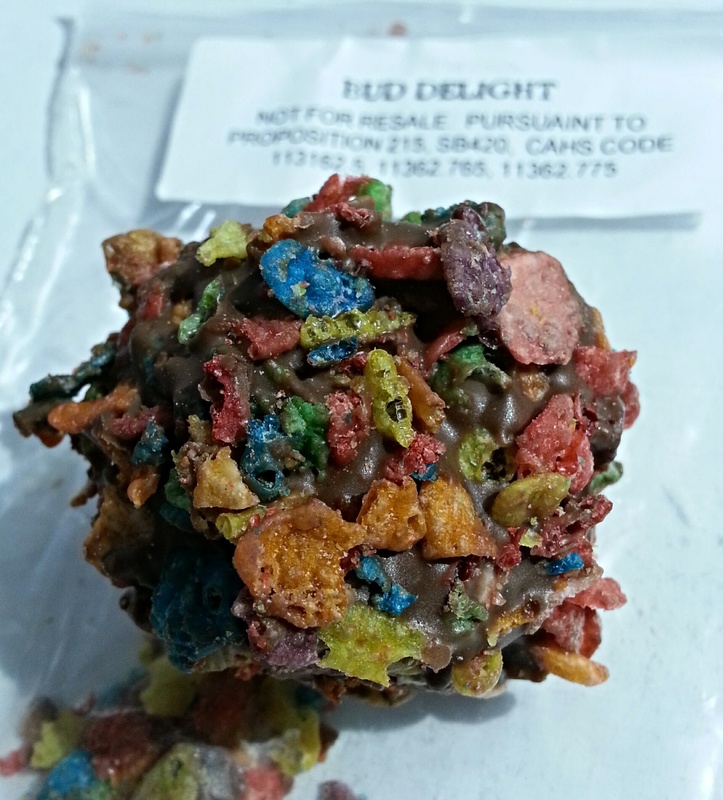 The chocolate coating was rolled in fruity pebbles: but what was inside? I poured a glass of milk and prepared to find out. After biting into it, I was delighted when I discovered a whipped peanut butter center. The crunch of the cereal, juxtaposed against the softness of the center, made for an interesting texture balance and, overall, a tasty bon bon. Although I just worked this edible into my daily medicating regimen in my home office, it is small and convenient enough to bring just about anywhere for quick use on the run. It is clearly no more than a single dose, even for those with low tolerance. I experienced a nice mild high, mostly physical, as nerve and joint pain relief. There were some relaxation and sedation effects also, helping marginally with anxiety. 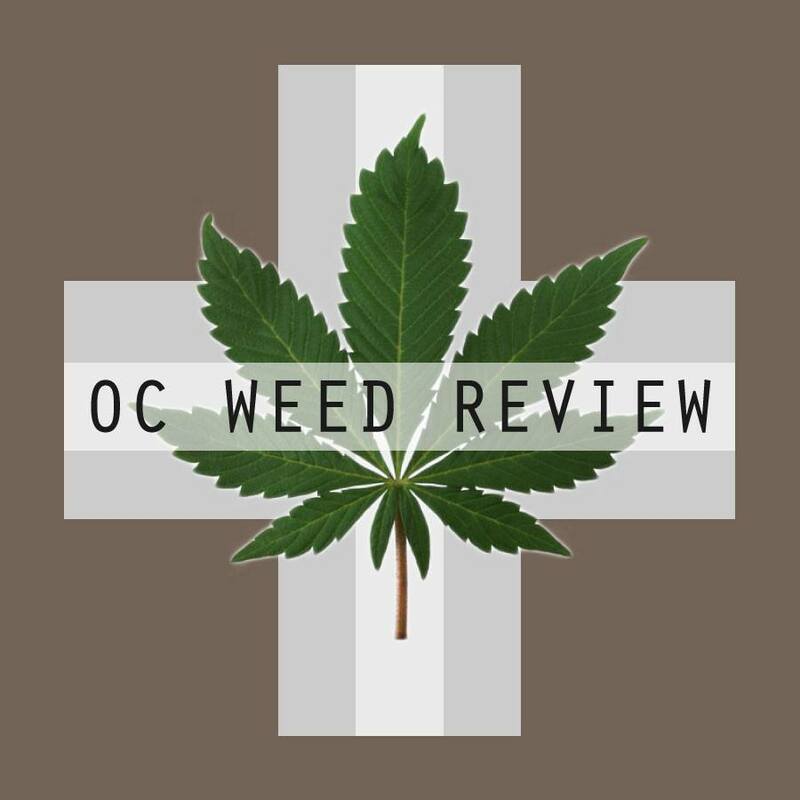 While I found the potency to simply be too low, I can see this edible working well for either light relief of minor pain, or as a base high to add to with another medicating technique. 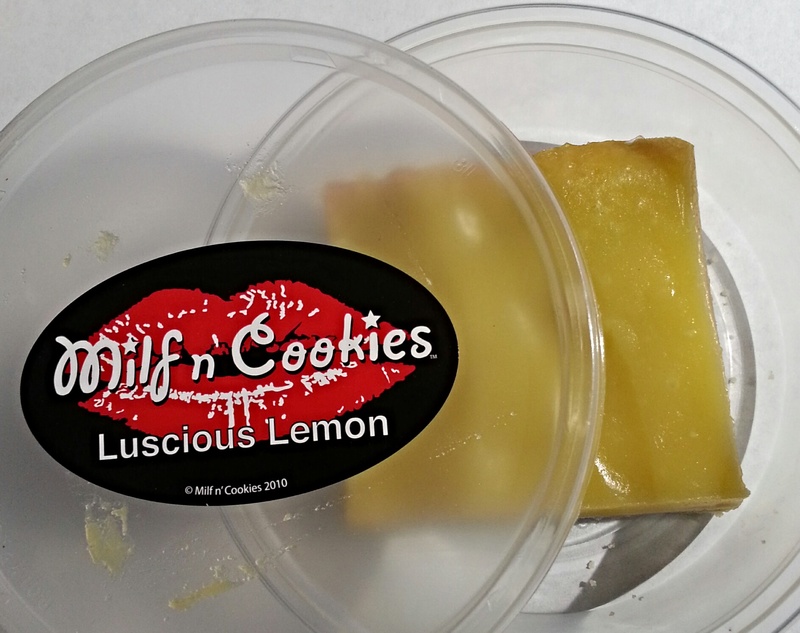 For the price point they are perfect low dose edibles, and you could always take home a handful if you are looking for something stronger.